The Legend of Zelda celebrates its 25th anniversary, and Nintendo has big plans to celebrate. Several big franchises are heading to the 3DS, including Mario Kart, Star Fox, Super Mario, Kid Icarus and Luigi’s Mansion. But by far the biggest announcement was that of Nintendo’s new console, the Wii U. Heading into E3, all eyes were on Nintendo. Sony had the Vita on the way, Microsoft had big plans with the Xbox Live, but Nintendo was the company rumored to have the ultimate video game trump card—a new console. All the best games and all the most interesting partnerships cannot come close to capturing the imagination of gamers in the same way that a console can, and Nintendo know it. So over the weeks leading up, small leaks have been getting out. Maybe it was called “Project Café”, or maybe it was called “Wii 2”. There was something unusual about the controller, although nothing was confirmed. But we all knew it was coming, and Nintendo knew we knew. But before Nintendo would get to the console, it had a few other announcements to handle. This year marks the 25th Anniversary of The Legend of Zelda series, and Nintendo is not one to let a milestone go unmarked. The Legend of Zelda: Skyward Sword will be out later this year in time for the holidays. At the same time, a special gold-colored Wii remote will also be released to commemorate it. No official release date was given, but it will be this year, barring unforeseen delays. Like those that plagued it earlier this year. And last year. And the year before. But to celebrate the actual anniversary, there will be multiple Zelda titles released this year—or more accurately, re-released. The first of these titles comes today in conjunction with the recently activated Nintendo e-store. The classic game The Legend of Zelda: Link’s Awakening, is now available to download. The Legend of Zelda: Ocarina of Time remake for the 3DS will be out next week, and in September, The Legend of Zelda: Four Swords, the multiplayer game, will be re-released as a digital download for free. There will also be two CDs released, the first is a collection of the Ocarina of Time music, and it will be available for free, to the first people that register their copies of the 3DS game. Exact numbers regarding availability weren’t given, but it will be while supplies last. Mario Kart (Working Title)- The classic racing series returns with customizable carts, and new racing tricks, including underwater racing and paragliding. 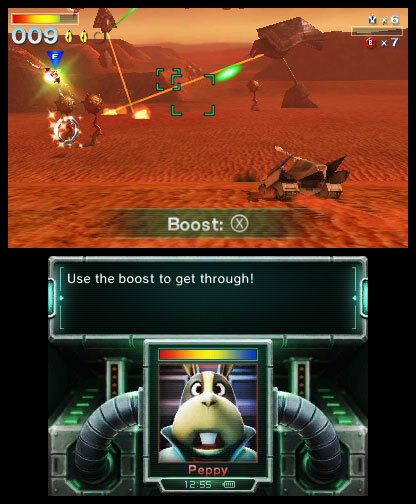 Star Fox 64 3D– A remake of the original with updated graphics that include 3D, as well as a multiplayer challenge mode that allows you to shoot down your friends. It is due this September. Super Mario (Working Title)- Not really much of a shock to hear that a Mario game is heading to a Nintendo device, but it is now official. More details to come soon. Kid Icarus: Uprising– A game long in development, originally announced last year. Luigi’s Mansion– The last of the new first-party title announced. There were also several third party titles announced, including: Ace Combat 3D (Working Title), FIFA Soccer 12, Heroes of Ruin, Mario & Sonic: At the Olympic Games, Metal Gear Solid 3: Snake Eater, Resident Evil: Revelations, Resident Evil: Mercenaries and Tetris. A new Podex was also announced, as was a free-to-download version of the classic Excitebike game. The 3DS is just beginning to be where it was promised to be, with the e-Store and Web browser now fully functional. And then came the real thing, the announcement of the new console. Sort of. The technical details on the Wii U are still a bit under wraps. Nothing was mentioned about its power during the press event, and subsequent press releases are vague on it except to say that it contains an “IBM Power-based multi-core microprocessor.” From what has been leaked and what we saw, it will be at least on par with the PS3 and Xbox 360, and possibly more powerful. The real draw though, is the controller. The Wii U controller is a device in and of itself. It contains a 6.2” touchscreen that is something of a marvel. When you are playing a game on the Wii U, you can switch the display from a TV to the controller. The console will synch with the controller and stream the display to your now handheld device. It won’t actually host the game itself, it simply acts as a new handheld display. But besides the display possibilities, the controller will add a layer to gaming. Upcoming games will take advantage of the display to give you a look at an inventory or health for example, but it can do much more. One example showed a baseball game, where you use the controller to line up your pitch, then to catch a hit ball, you track it with your controller and “catch it”. Another example used the controller to hold ninja stars, which your game character then threw as you swiped your hand over the controller display. 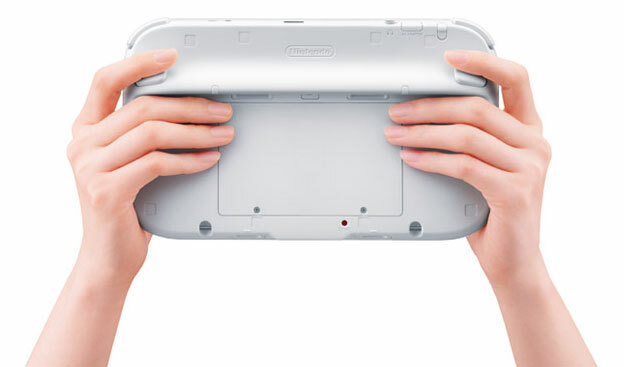 When it is not being used as a game controller, the device can itself play some simple games, but Nintendo was quick to emphasize that the controller is not a handheld unit. Nintendo was vague on many of the details, but they also claimed that the Wii U and its controller would work together and select games with the 3DS. The current nunchuck controllers will also be compatible after a fashion, but again, details are vague, and the word “prototype” was repeatedly used to describe the hardware. 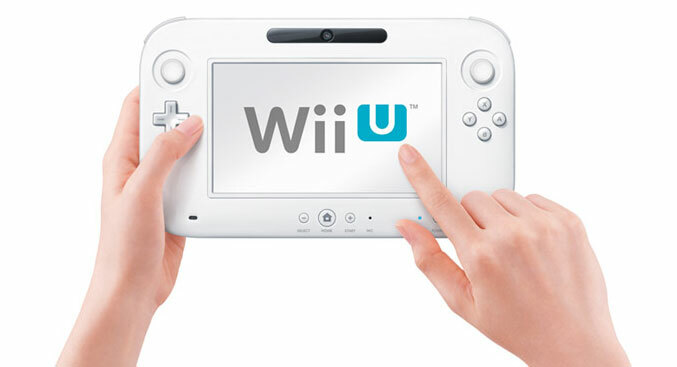 For more check out Nintendo Wii U: What you need to know. For all the pomp and circumstance of the controller, one of the most exciting features of the Wii U was that games that were once denied to the Wii, will now be heading to Nintendo fans, and cross-platform titles will be able to run at the maximum potential. Several such titles were announced, including: Darksiders 2, the Assassin’s Creed series, Batman: Arkham City, Ghost Recon Online, Dirt, Aliens: Colonial Marines, Metro: Last Light, Ninja Gaiden: Razors Edge and a new Tekken game. 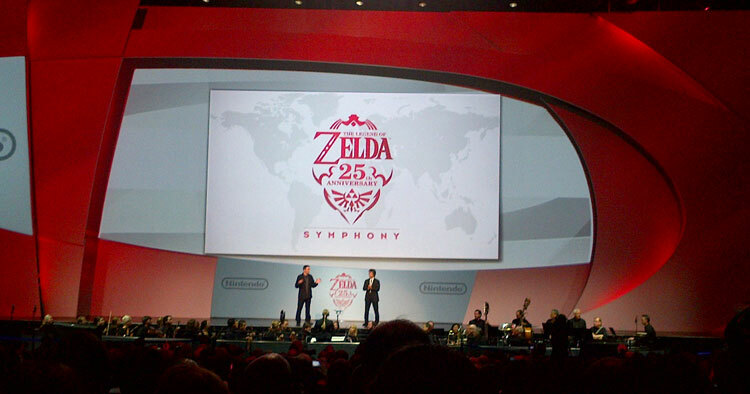 Nintendo was fairly conservative in the actual presentation today, and its press conference was by far the most subdued in terms of spectacle. But what they lacked in presentation, they more than made up for in substance. The Wii U will be the most talked about subject from this year’s E3 without question. The details on the new console are still light, and holiday of next year is probably a realistic release window—which would mean that next year’s E3 might see the things like pricing and get to the real technical details. There are also questions about what kind of online presence it will have, as Nintendo has never fully embraced the online side of its systems in the same way that Microsft and Sony have. But for now, none of that matters, as Nintendo has once again thrown down the gauntlet and may have again changed the game. MobileMe vs. iCloud: Overhaul or upgrade?